A whopping Rs. 662.95 billion was transacted through digital banking channels alone, by customers of the Commercial Bank of Ceylon in 2017. This is the highest value the bank has handled digitally in a single year since the launch of its mobile and online banking platforms, which make up its ‘anytime, anywhere’ digital banking offering. The remarkable growth in the use of these channels was reflected in an increase of 31.31% in digital transaction values, and a 16.45% increase in the number of digital transactions conducted in 2017 over the previous year, the bank said. The value of online banking transactions increased by Rs. 155.8 billion in 2017, while mobile banking transactions recorded an increase of Rs. 2.28 billion, leading to a Rs. 158.08 billion increase in total digital transaction values. The increase in total digital transactions during the year was 1.85 million transactions. 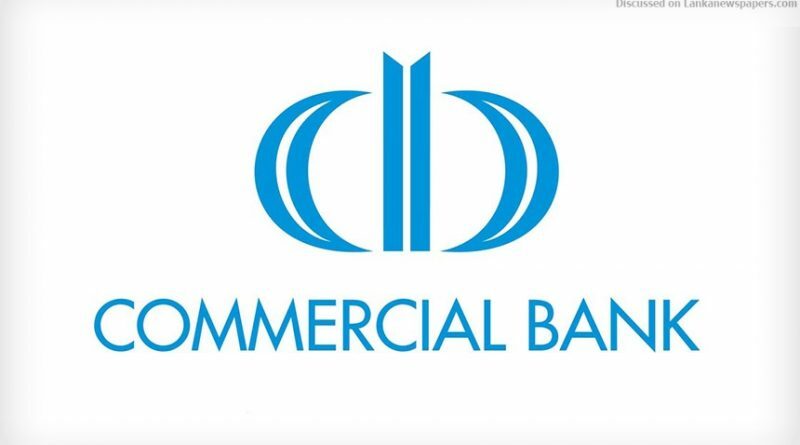 Commercial Bank’s Online Banking customer base in both the retail and corporate segments grew by 16.44% in 2017 over 2016. Commercial Bank was recognised as the ‘Best Digital Bank’ in Sri Lanka, and was also presented the award for the ‘Best Mobile Application’ in Sri Lanka in 2017 by the prestigious London-based ‘World Finance’ magazine for its success in this sphere. The accolades were based on an evaluation of the bank’s strategy to mould the institution to be a next generation Digital Bank, the percentage of the bank’s Digital Banking customers, the split between its Online Banking and Mobile Banking base, its digital products and services, its plans for future digitisation, its marketing strategy to convert customers to Mobile Banking, and the bank’s key focus areas for the year ahead. Commercial Bank was also adjudged the ‘Best Digital Bank’ in Sri Lanka in 2017 by ‘Asiamoney,’ considered the most authoritative voice for the banking industry in the Asia Pacific region.